I painted this with my mother's oil paints when I was 15 years old. It was the last time I painted with oil. 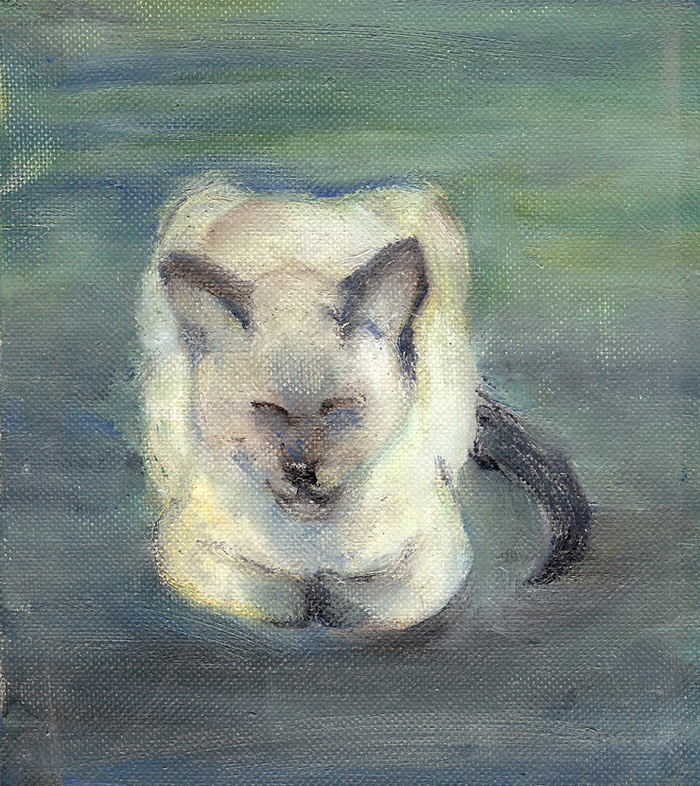 But it was not the last time I used a cat for inspiration. 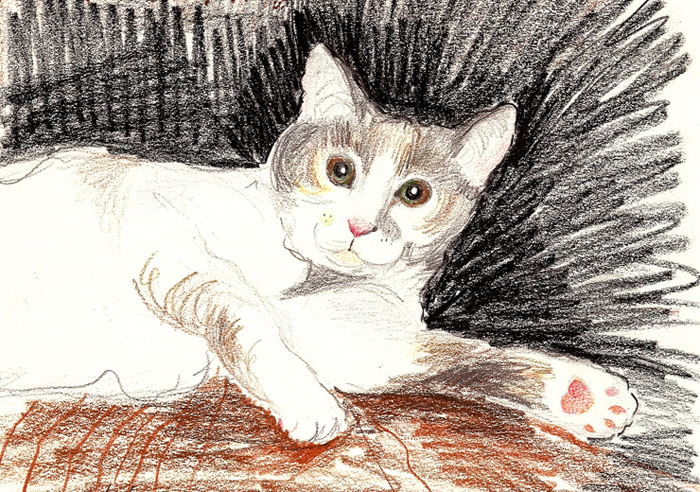 This is a colored pencil drawing of my cat Maggie.